We've already seen (or haven't) the nearly invisible waterproof zippers that Columbia introduced on its sportswear designed for various Olympians competing at Sochi. But the uniforms designed specifically for the US moguls ski team have another hard-to-spot feature that could give them a small advantage in competition. Despite the hilly terrain they have to tackle, moguls skiers are judged on how smoothly they make their way down a bumpy course. 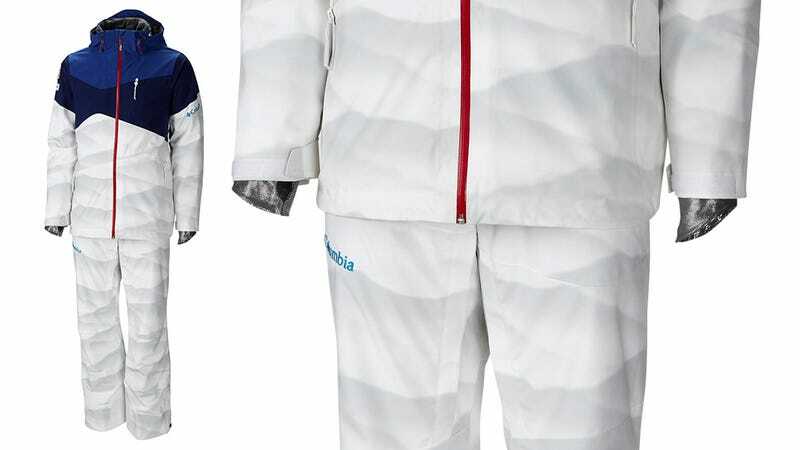 So Columbia developed the subtle "snow camouflage" pattern used from the mid-waist down on the outfits pictured above to break up the white fabric and help mask body movements during a run.